It is generally acknowledged by anyone not sitting in an EU office in Brussels or Strasbourg, that the proposed new EU Copyright Directive, which the European Parliament will vote on at the end of the month, will be a disaster if it is approved. But while there have been plenty of worst-case scenarios bandied about, few of these are likely to have carried much weight with policy-makers. However, the latest intervention just might get their attention. It has come from Ulrich Kelber, a German computer scientist who also happens to be Germany’s Data Privacy Commissioner. These two roles make him uniquely qualified to comment on the new Copyright Directive, and in an official statement (in German) he has certainly not held back. Kelber has reserved his most damning comments for the controversial Article 13 of the new directive which requires online platforms to stop any users from posting content in breach of copyright. This will inevitably lead to the implementation of automated filters according to Kelber who concludes, quite reasonably, that it will be impossible to check everything that anyone posts in real time without them. One of the obvious consequences of the use of such filters is that they are likely to block and censor plenty of content which would be perfectly legal alongside those that breach copyright. Such automated filters can never be 100% accurate and it will be the ordinary internet user who ultimately suffers from them. But Kelber has also identified another problem with automated filters. He warns that they will exacerbate the issue of market concentration in the tech sector. Because smaller companies will not be able to afford filters or to license enough content, it will be impossible for them to comply and as a result, the likes of Google and Facebook will have a stranglehold on the market and competition will be stifled. Kelber also suggests that Article 13 could lead to European internet data being exposed to increased surveillance and potentially greater risk. He argues that the only way any company outside the tech behemoths will be able to comply is by paying for external copyright filter services such as Audible Magic, who he notes have lobbied hard for the introduction of Article 13. However, these companies are all based outside the EU, so using them would require European data to be channelled overseas, filtered, and then sent back again. This would not only drive huge revenue streams outside the EU but potentially expose the online data of European citizens to less secure overseas jurisdictions, such as the USA, too. It would certainly allow these third-party companies to profit from exploiting the data of EU citizens. Kelber’s statement concludes with a challenge to the EU to explain how any company could comply with Article 13 without using automated filters. He states clearly that, in his view, it would be impossible. He also calls for a “thoughtful overhaul” of the bill based on “data privacy considerations,” and describes the risks of market concentration as a “clear and present danger” suggesting that a tech oligopoly is an inevitable consequence should the Copyright Directive come into law. Few people within the data privacy sector carry more credibility than Ulrich Kelber and when he issues a statement worded as strongly as this, European legislators really should sit up and listen. 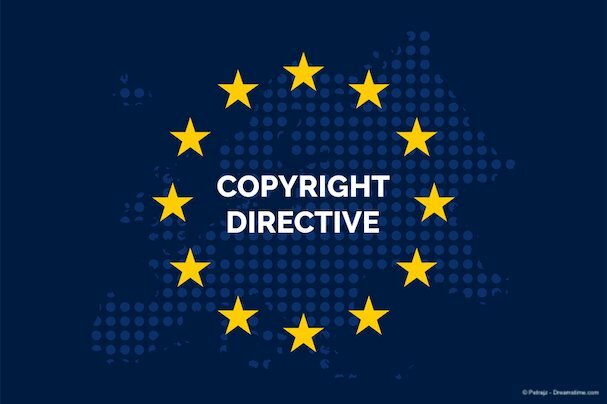 We have cautioned in the past that the EU Copyright Directive was likely to have a devasting impact on Kodi. But it’s overall effect on the internet is clearly going to be every bit as severe. While the intentions behind the EU Copyright Directive are no doubt laudable, the nature of the EU legislative process means that the Bill that has emerged will do far more damage to online rights than those who proposed can possibly have intended. As we noted previously, it will be easy for EU citizens to bypass the effects of the directive, by using a VPN such as ExpressVPN to redirect their traffic through non-EU servers. Those intent on breaching copyright laws will no doubt choose to do this, while it will be the law-abiding internet users who are left to suffer the real consequences of the law. It is not too late for the EU to come to their senses and deliver the ‘thoughtful overhaul’ that Kelber calls for and the law so badly needs. But few EU observers will be confident that such a common-sense mood will prevail over the usual EU intransigence that has seen so many other badly drafted laws make it onto the statute books in the past.